April 20, 2011 – UPDATE: Do you want your own poster, mug, or t-shirt with this design on it? Get one here at my CafePress store! Or at Paleo Skin! January 11, 2011 – UPDATE: I’m delighted if you’d like to use this pyramid in your blog, but please credit me appropriately. Thank you! I’ve been frequenting the PaleoHacks website in order to stay motivated and fine tune my paleo/primal diet, even while I’m in the midst of my food allergy jazziness. 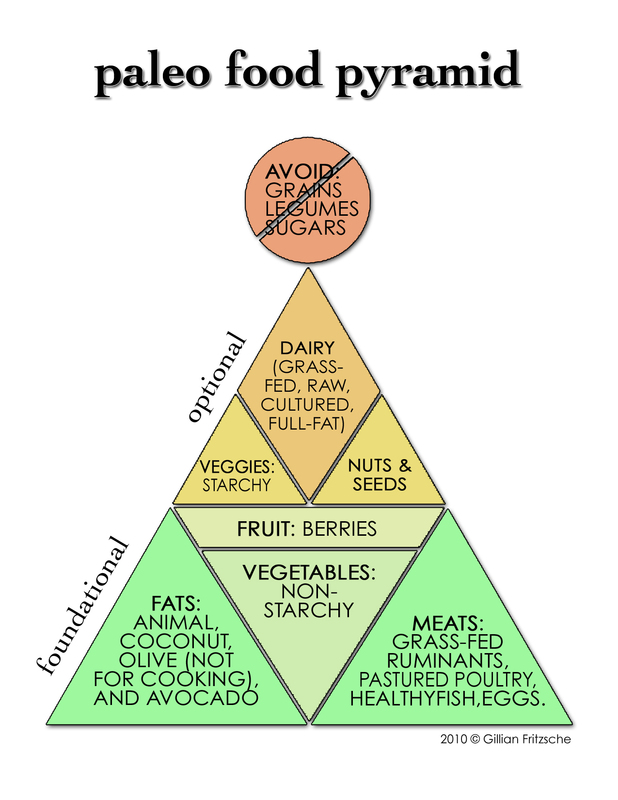 A few months ago, someone asked what a paleo food pyramid would look like. Here was my attempt!